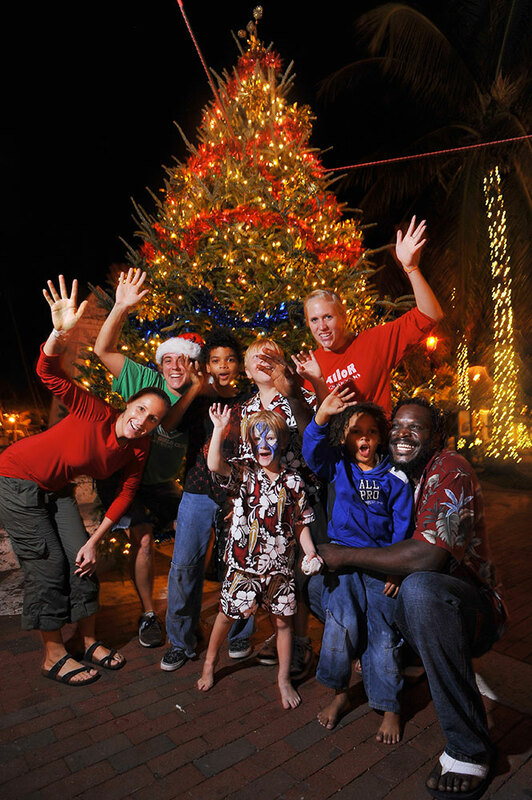 Escape to that Southernmost Holidays Spirit, Before Christmas! 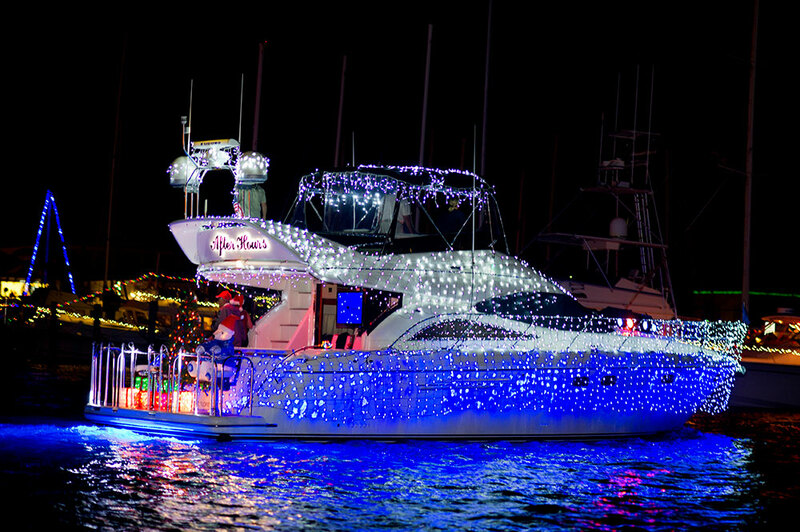 Lighting up every evening through New Year’s Eve. 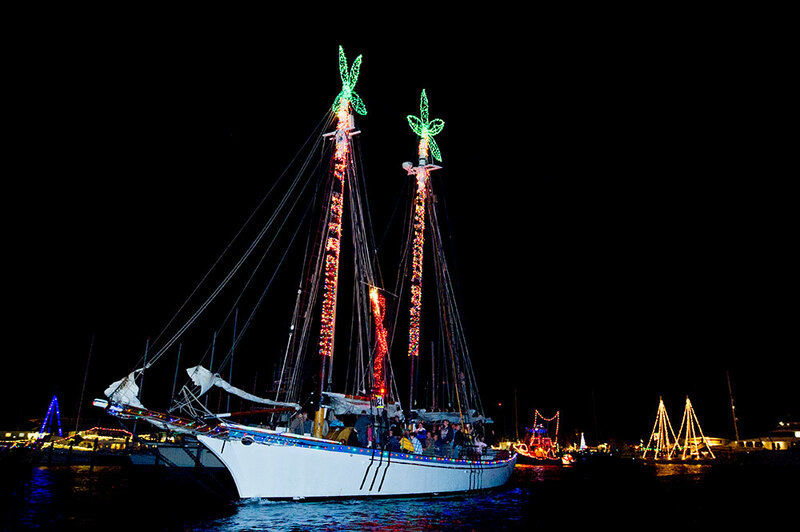 A Nautical theme honoring the maritime history of the Key West waterfront. 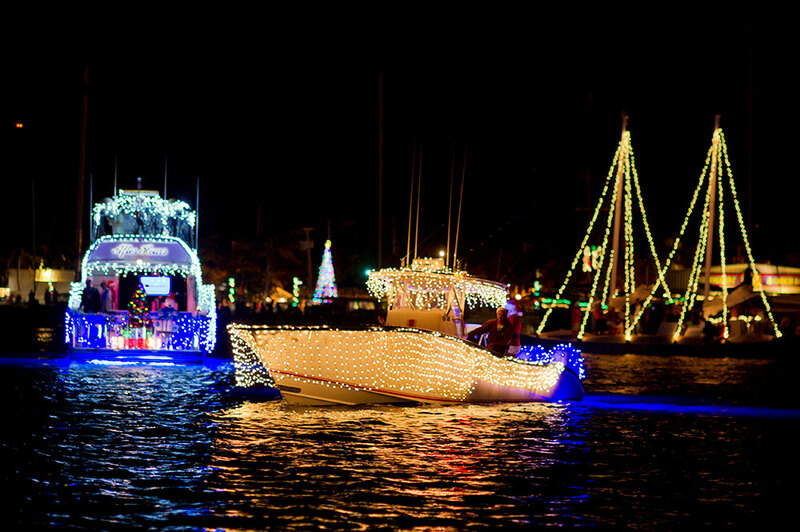 The “Harbor Walk of Lights” stretches along the seawall past Greene St, William St, and Margaret St. to the K.W. Ferry Terminal. 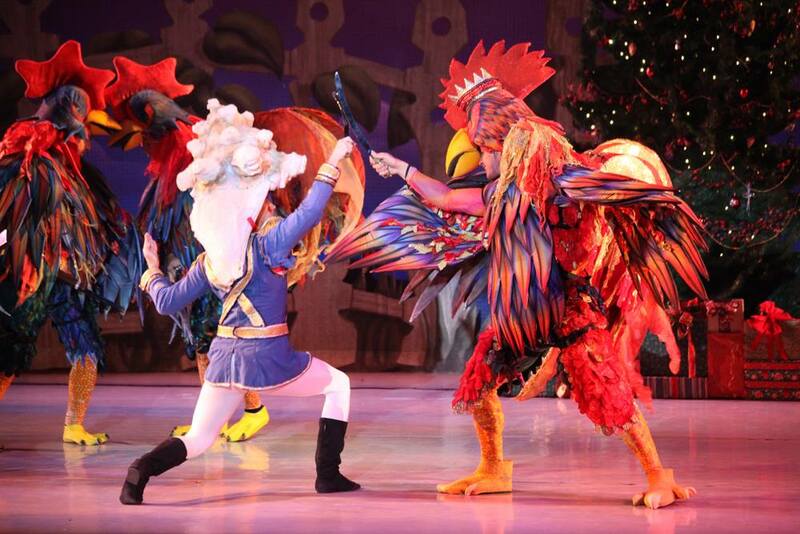 Wednesday, Nov. 21 – Kick off the Season! 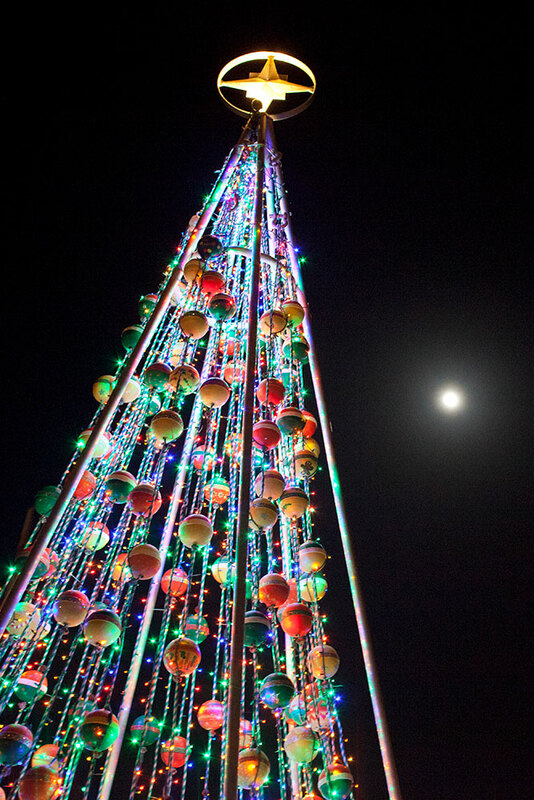 FREE – 6:00pm – Even more lights this year! 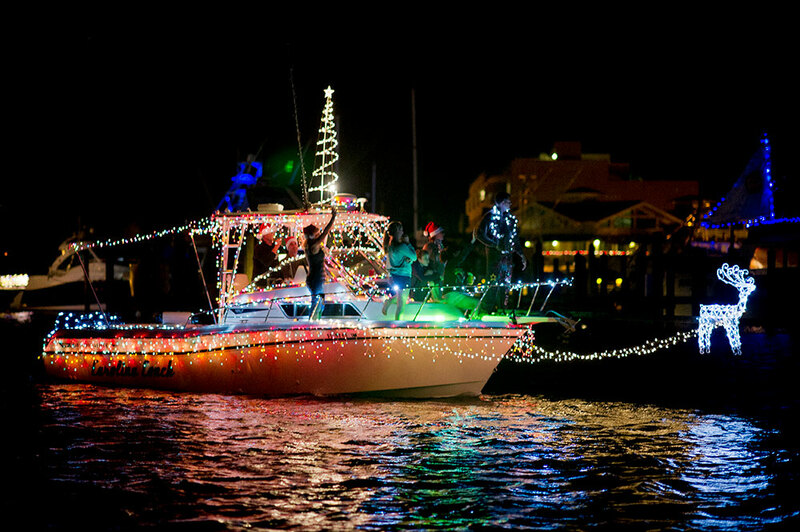 LOCATION: Gather on the Harbor Walk at Greene and Elizabeth St. to best see the official lighting of the … 2018 Key West “Harbor Walk of Lights”. 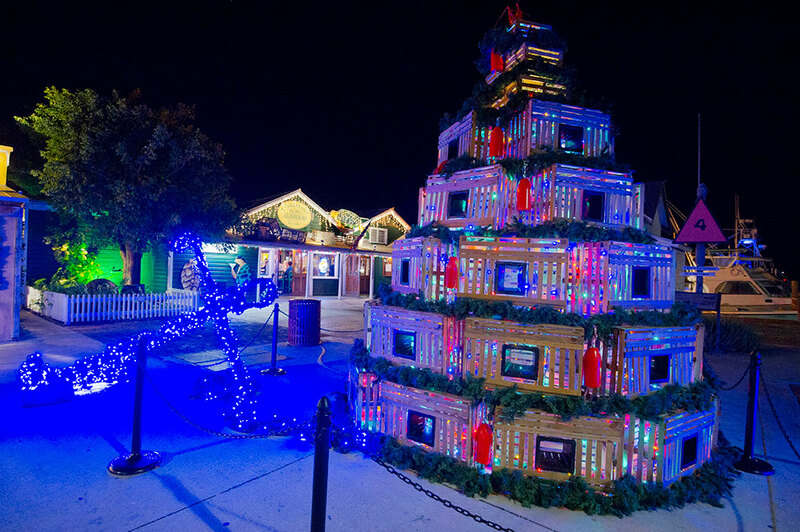 The main features will light up the night, including the Fishing Buoy Christmas Tree a real pine Nautical Christmas Tree and the Lobster Trap Christmas Tree all honoring the “Maritime History of Key West”. 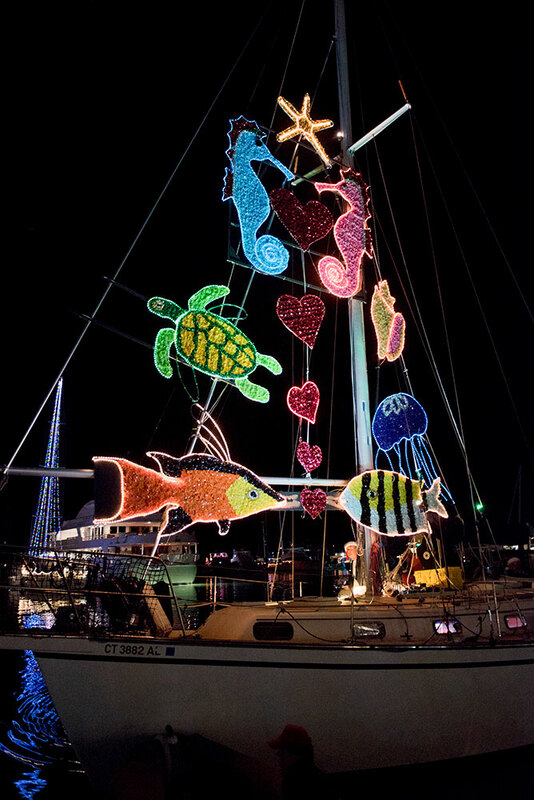 Stroll the entire Harbor Walk of Lights for a merry infusion of holiday lights and nautical displays, including ship’s anchors, tropical birds, tropical fish, manatees and animated sea turtles. 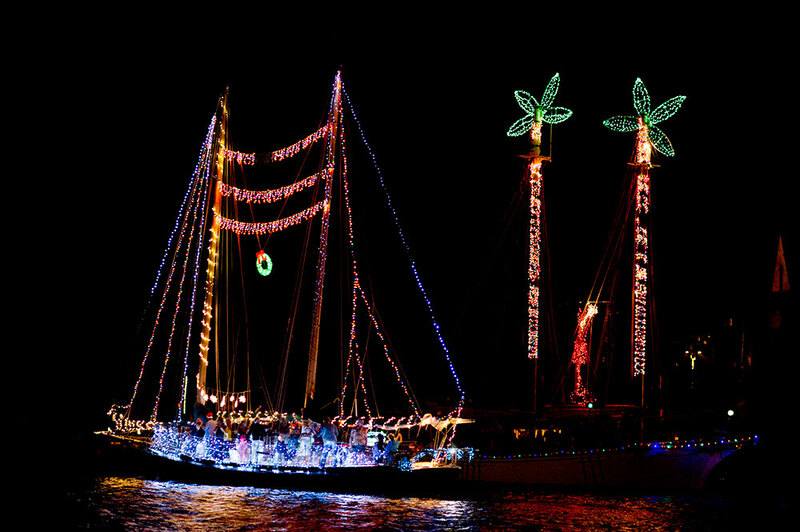 With over 61,000 lights and 58 lighted palm trees, 2018 will be bigger than ever! And on the Harbor Walk, theres always great Key West gift shopping, watersports gift certificates and all levels of dining and seasonal libations. 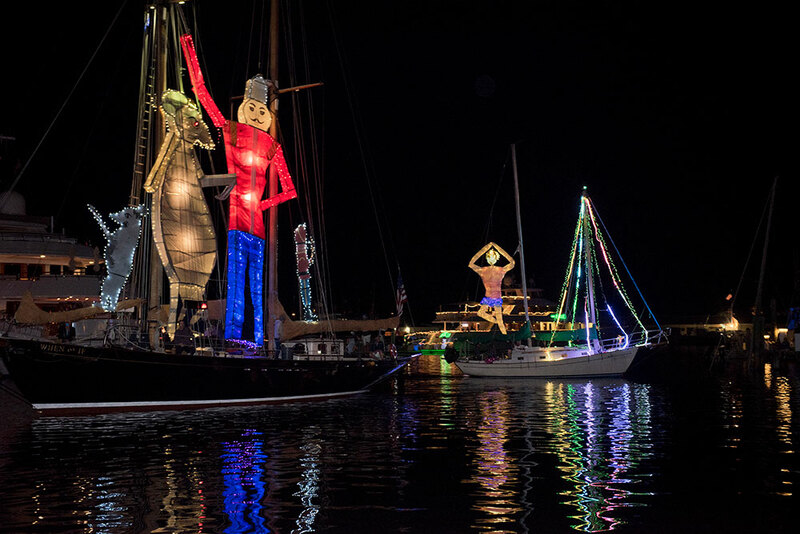 The Harbor Walk of Lights is lit every evening through New Year’s eve! 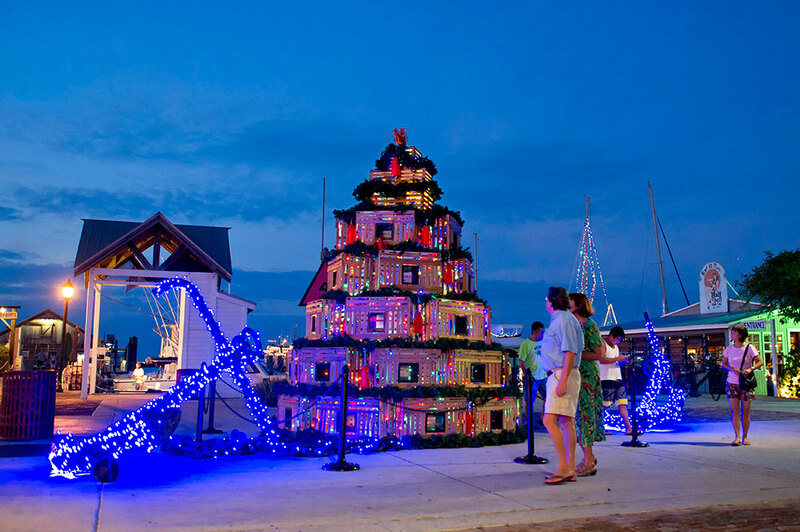 LOCATION: Look for Santa at the Nautical Christmas Tree at the foot of William St. on the Harbor Walk of Lights. 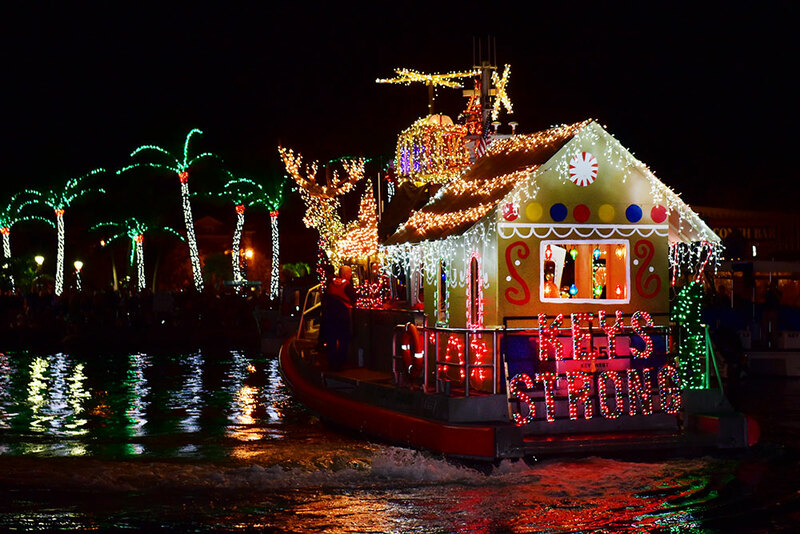 LOCATION: Viewing starts on Truman Ave. (at White St.) then proceeds down to Duval St., then down Duval St.ending at Eaton St. 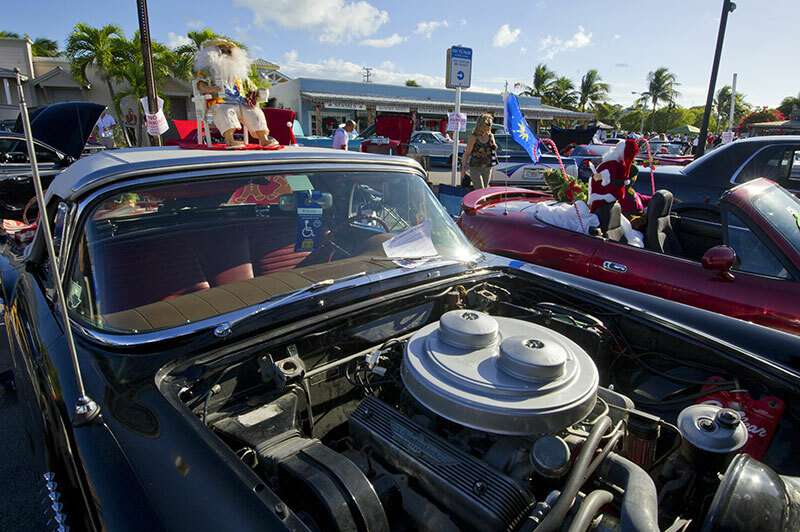 The most charming hometown parade you’ll ever see with holiday floats, and tons of kids of all ages. 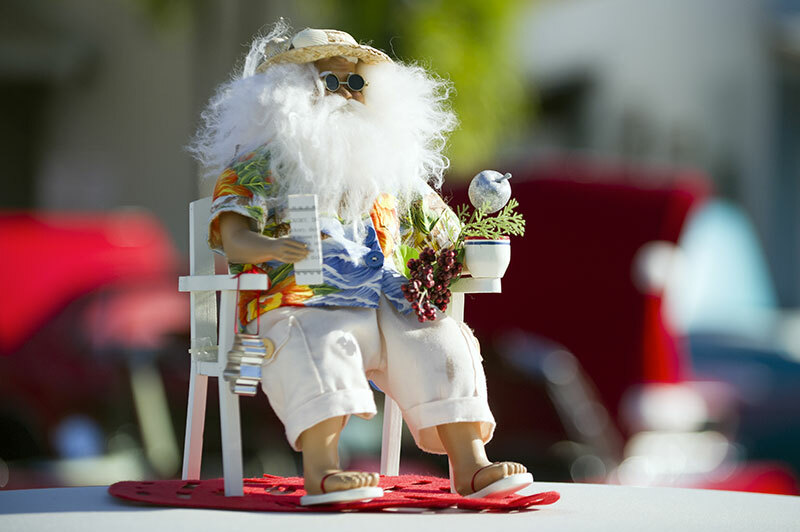 Of course Santa will make a guest appearance! 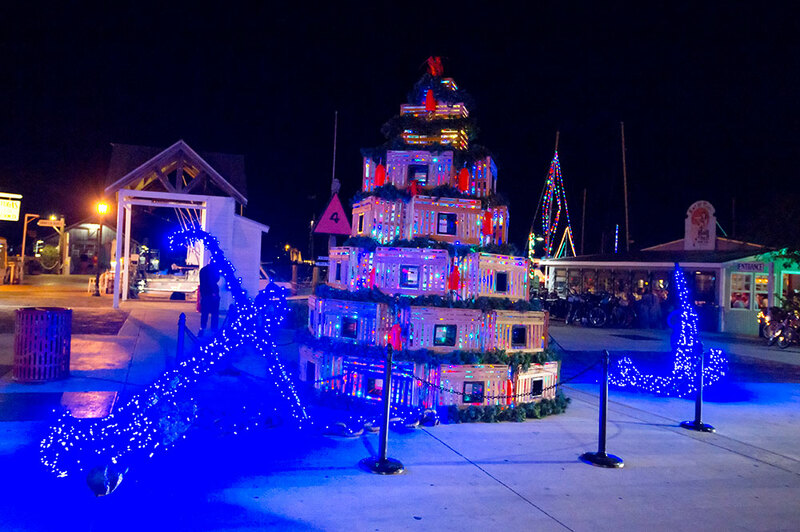 LOCATION: Viewing all along the Harbor Walk of Lights at the Historic Seaport. 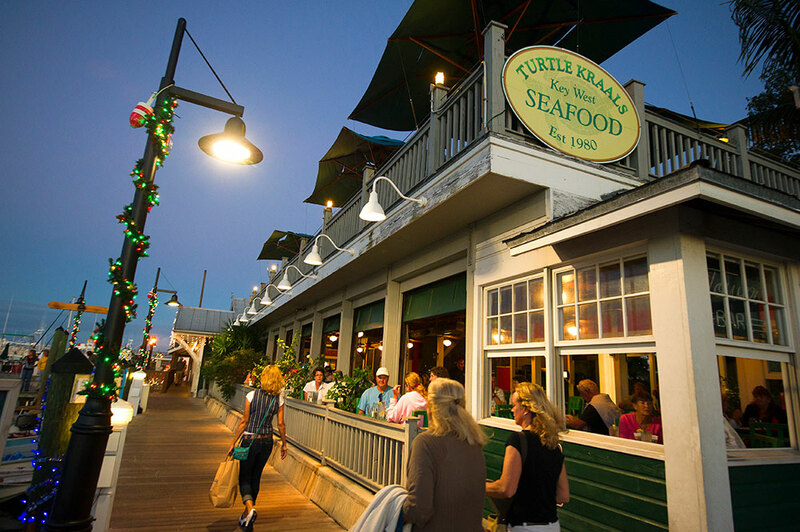 Reviewing stand is at the Schooner Wharf Bar and Galley. 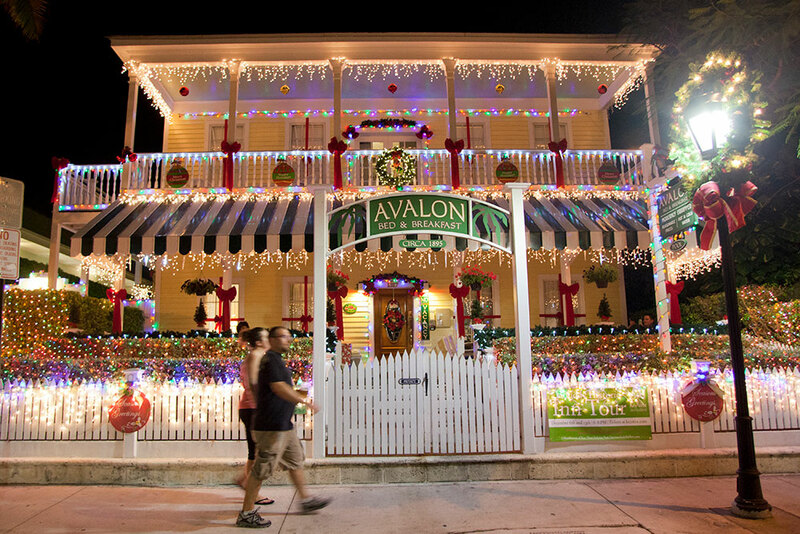 Come early for great shopping, holiday music, dinner and drinks. 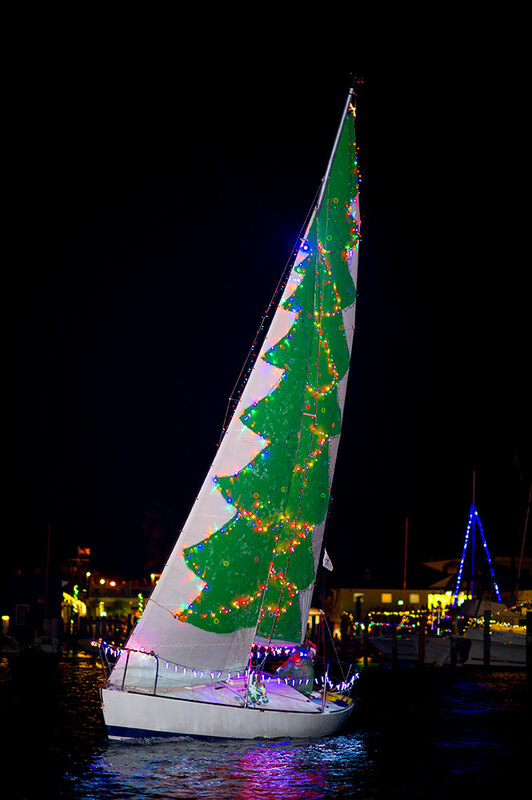 Click below – SEE HOW TO ENTER YOUR BOAT! 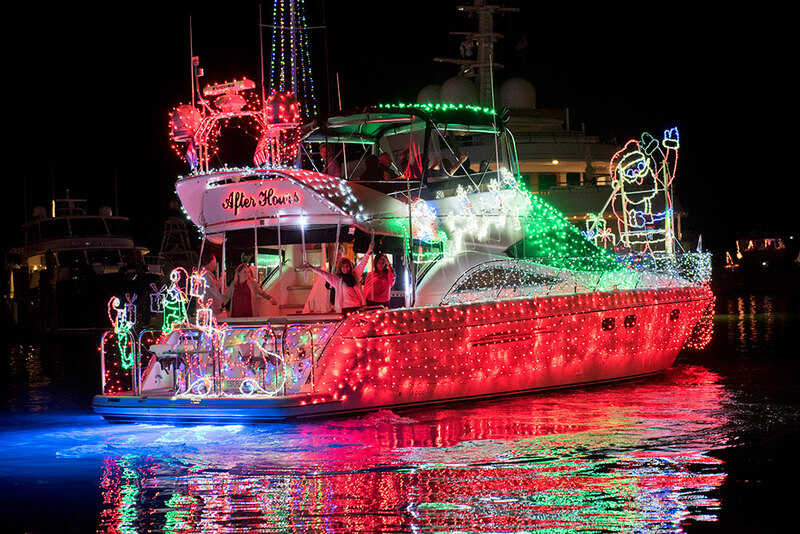 Enjoy this annual holiday spectacle from a front row seat on the water. 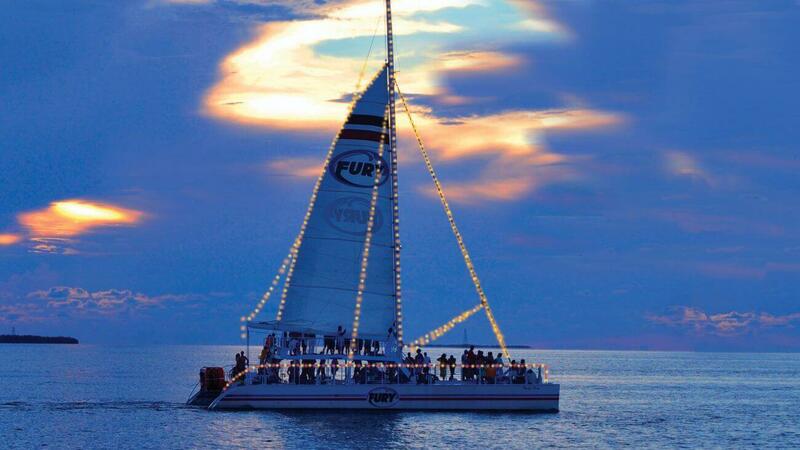 Your private charter Champagne party for up to 14 guests! Free Santa Hats for everyone! 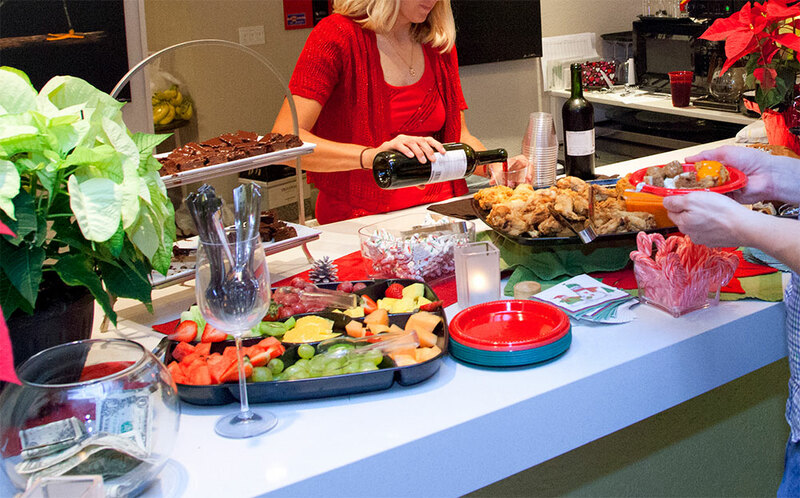 Drinks and holiday appetizers included. 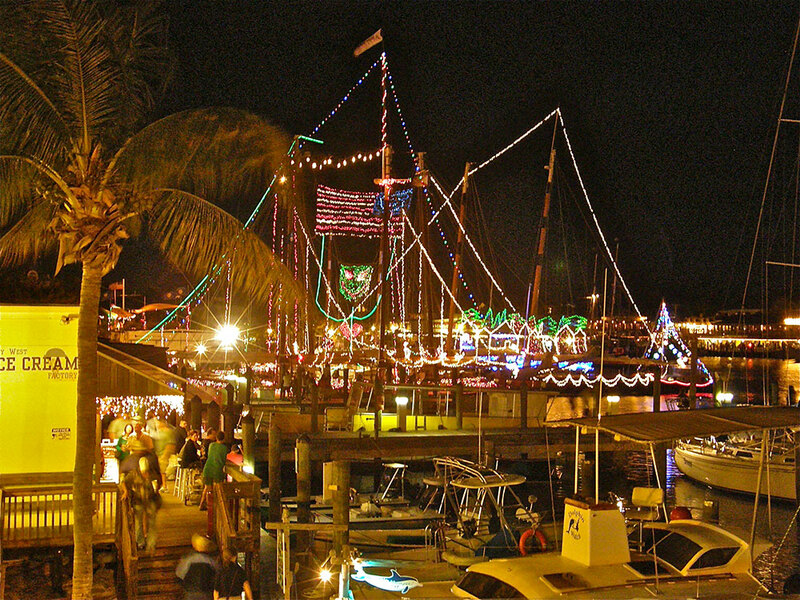 LOCATION: Conch Republic Seafood Company – Greene & Elizabeth St. Please bring an unwrapped toy for Monroe County Domestic Abuse Shelter. 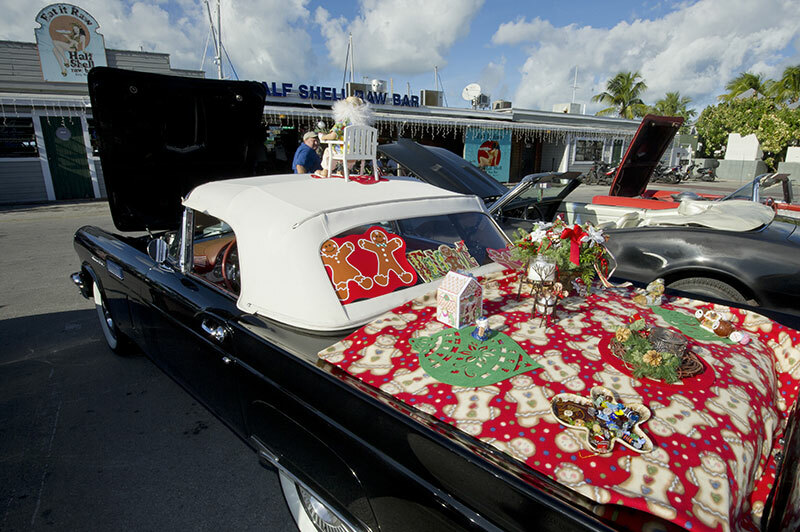 See classic cars from every era decked out for the holidays! 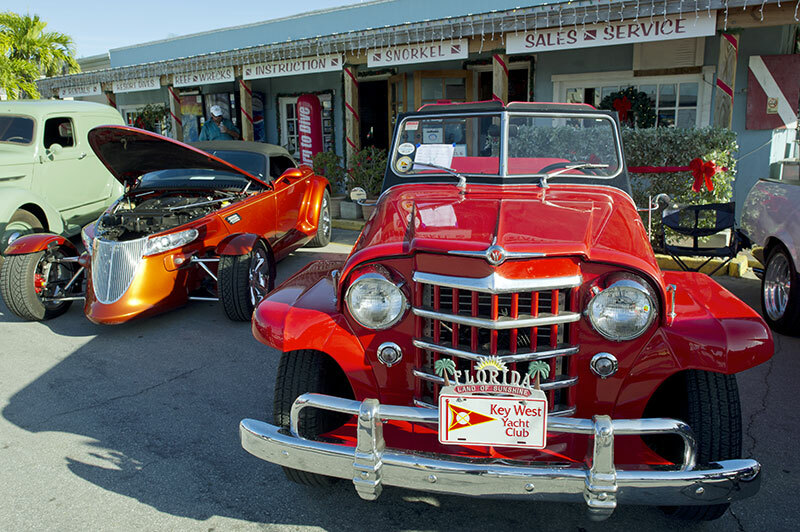 Non-member cars may enter same day FREE with an unwrapped toy! 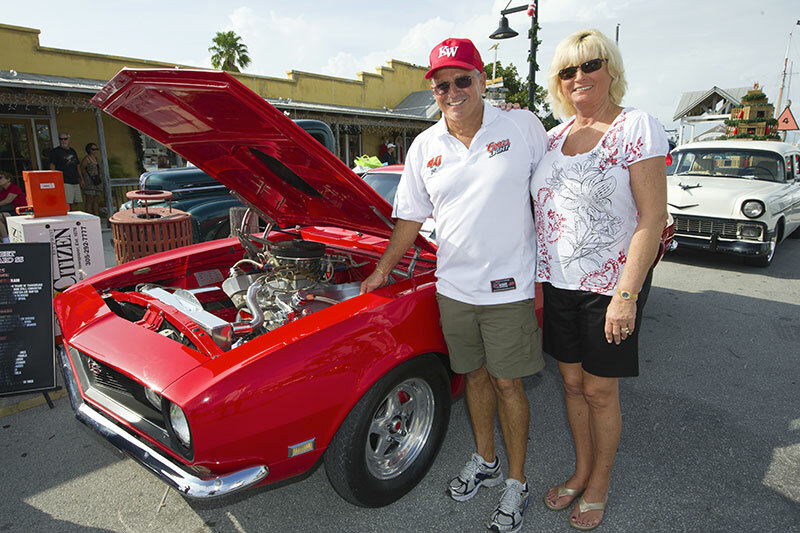 Click here for more KWHF info and updates! 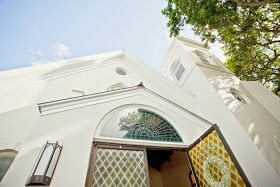 7 p.m., at Key West United Methodist Church, 600 Eaton St. – FREE! 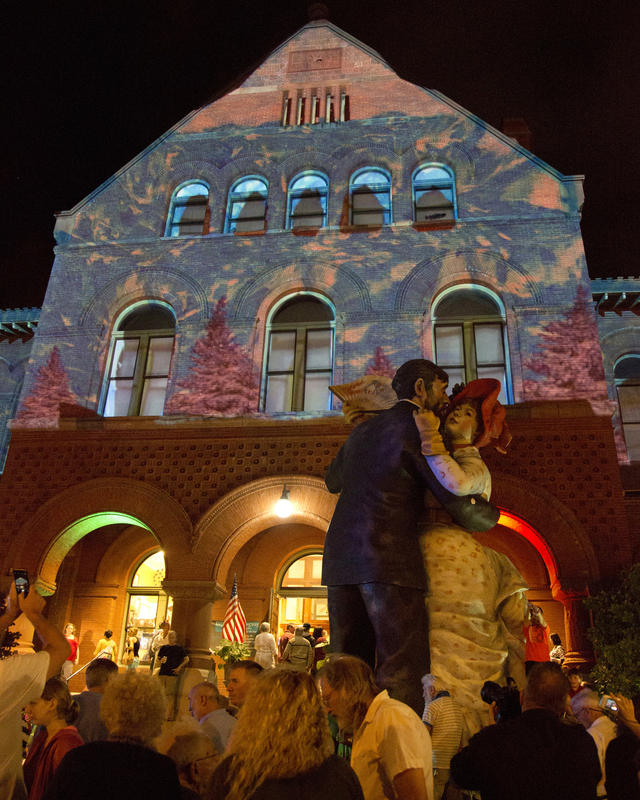 Old Stone Concert Series presents Christmas Community Chorus in the 35th annual performance. For Holiday Helpers Toy Drive & holiday fun! 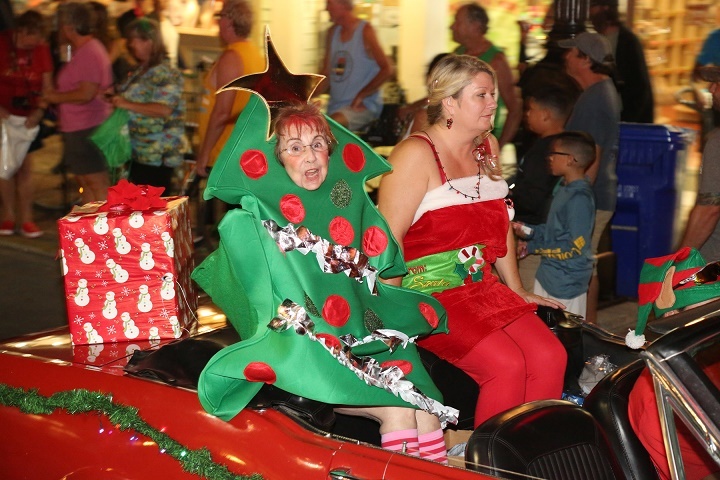 7:00pm – The ride is a family event beginning with a registration / check-in at 6 p.m. for with Helmet fitting and Santa Claus visit. 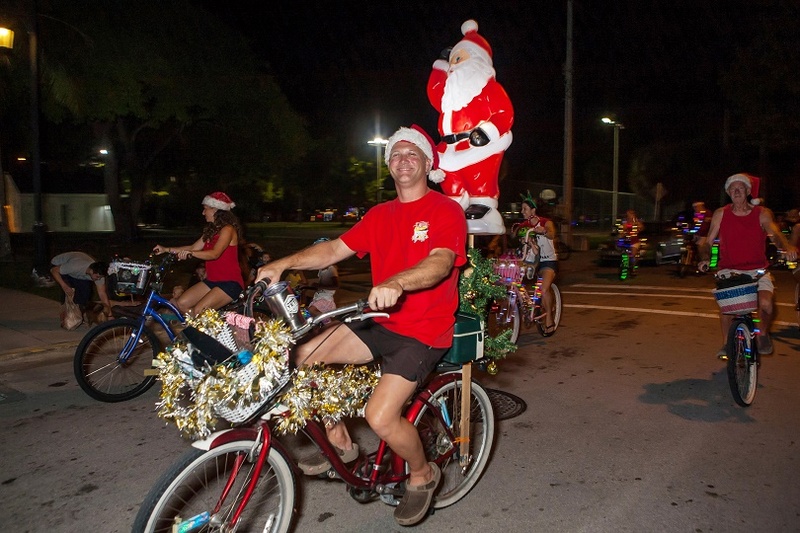 Families and individuals with lighted and decorated bikes ride through the streets for the community to see. 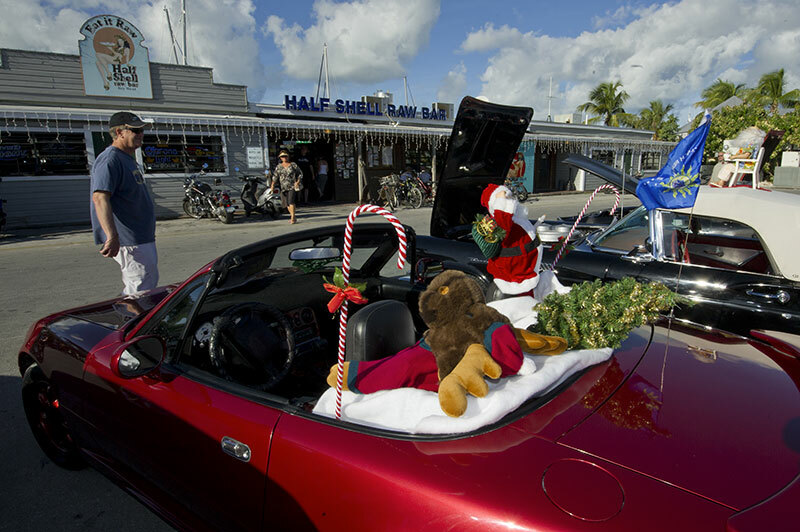 Registration for the ride is one unwrapped toy for the Key West Holiday Store and Wesley House Family Services. 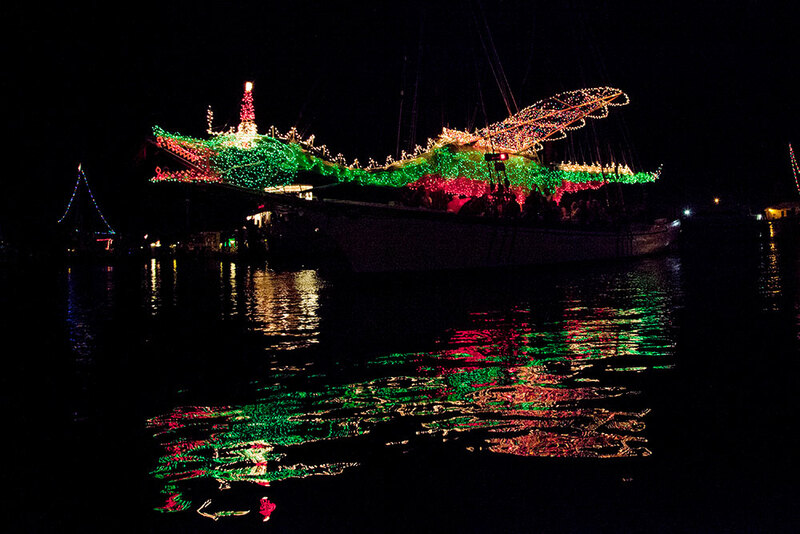 Join the Conch Tour Train for their annual holiday lights tour of the island. 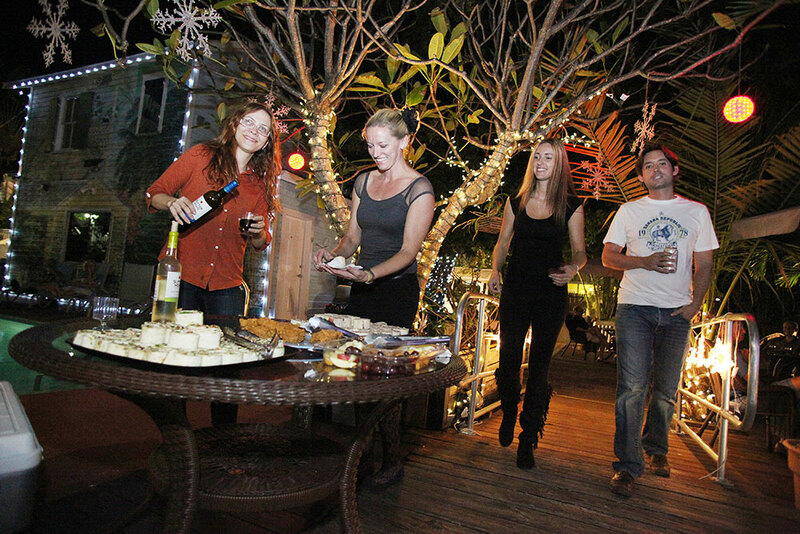 To get things started we will serve up some holiday cheer with cider and cookies. 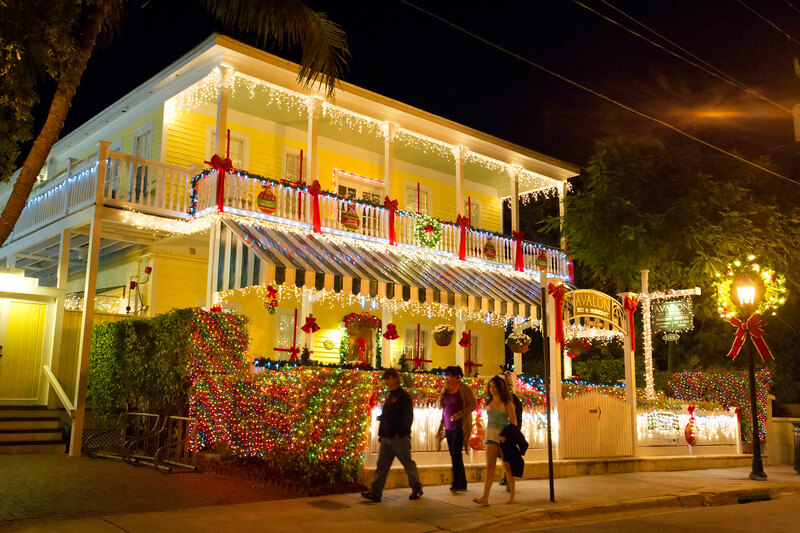 Then it is all aboard for an hour tour that takes you to all of the island’s most elaborately decorated houses, buildings and neighborhoods and caroling. Call 305-294-5161 for reservations and information. 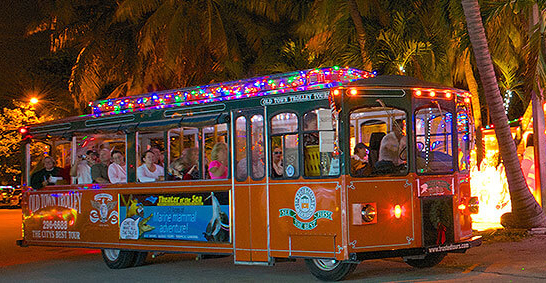 Celebrate the season aboard Old Town Trolley on their Holiday Lights and Sights Trolley. 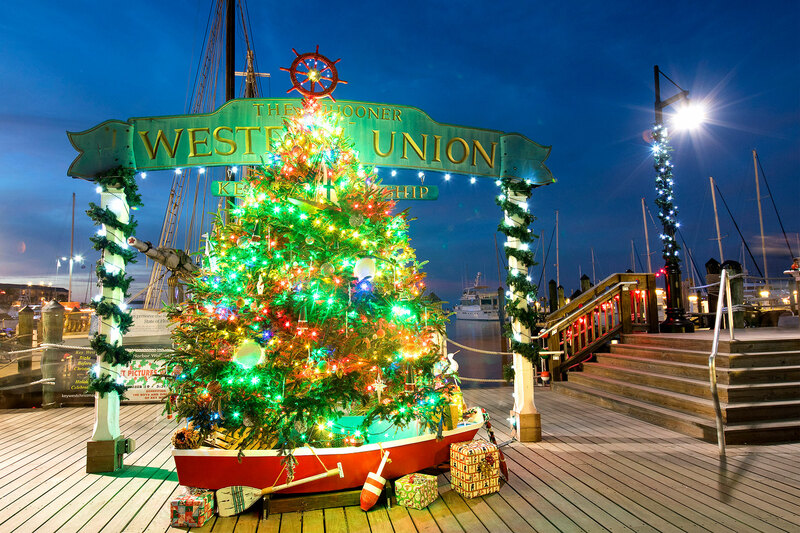 There won’t be a white Christmas in Key West, but that doesn’t stop the island from decking the halls with lights and decorations. 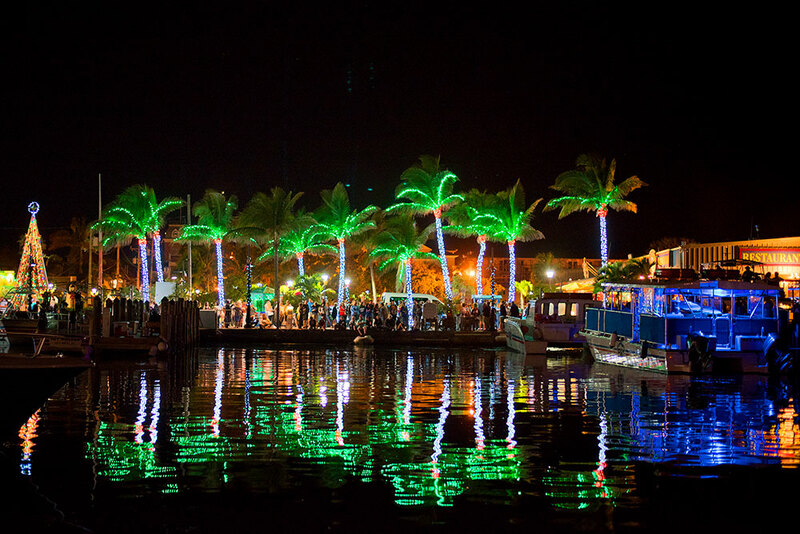 Call 305-296-6688 for reservations and information. 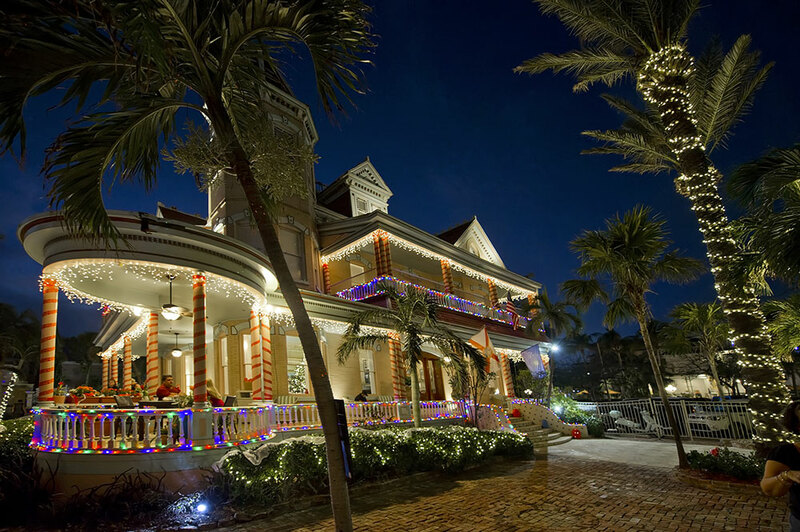 Set to the enchanting music of Tchaikovsky, the Nutcracker Key West, produced bi-annually, is the largest community production brought to the stage in Key West. 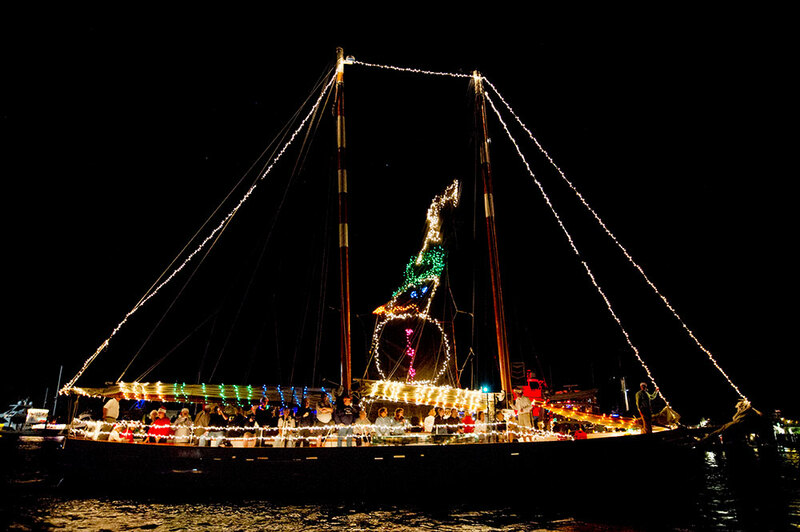 This year, 60 of our community’s children and adults along with 15 professional dancers from around the world will join together again to produce this outstanding historical recreation of Key West’s version of the Nutcracker, Nutcracker Key West. Put on your stockings and pull out your sugarplums for Key West Burlesque’s “Sugar Rum Cherry: A Burlesque Nutcracker” on Thursday, December 14 through Saturday, December 16 at Key West Theater, 512 Eaton Street. This naughty holiday two-act reverie features your favorite local performers, international burlesque superstars, and amazing aerial acrobats as they visit the land of libations. Doors open at 7:30p.m., show starts at 8:00p.m. 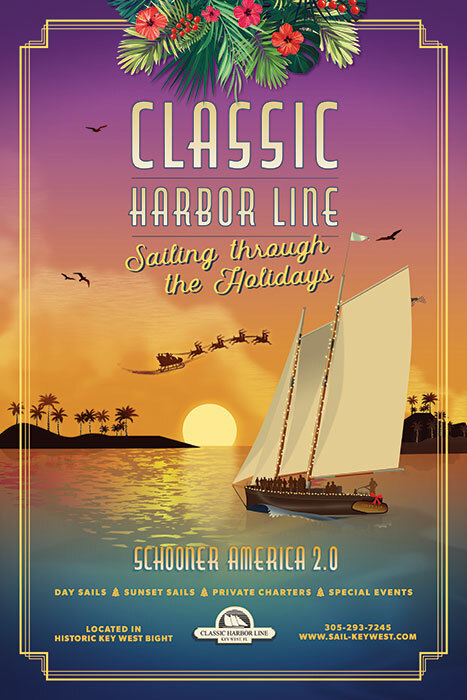 Sponsored in part by the Monroe County Tourist Development Council. 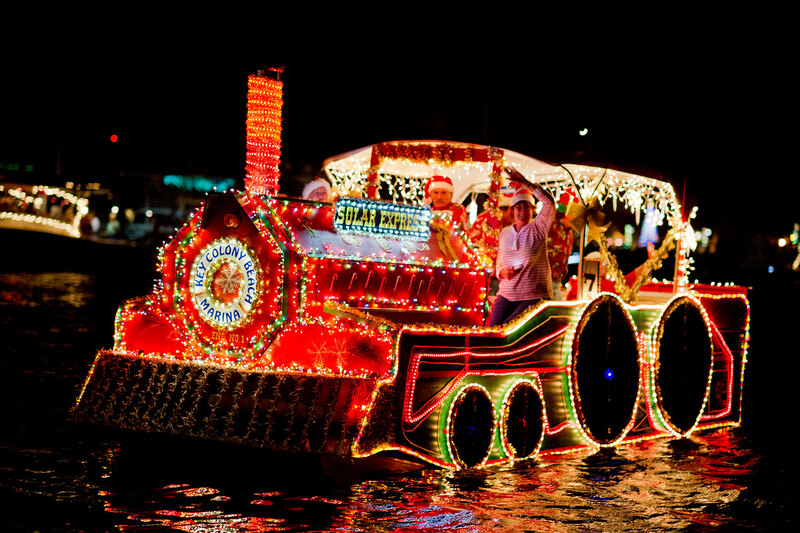 Call 305.985.0433. Check in is 9 a.m. 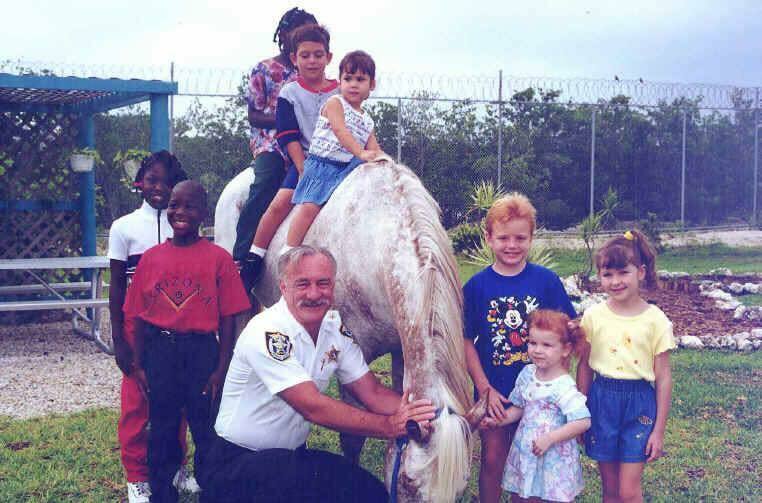 Event is from 10 a.m. to 2 p.m., Higgs Beach, at the Higgs Dog Park. 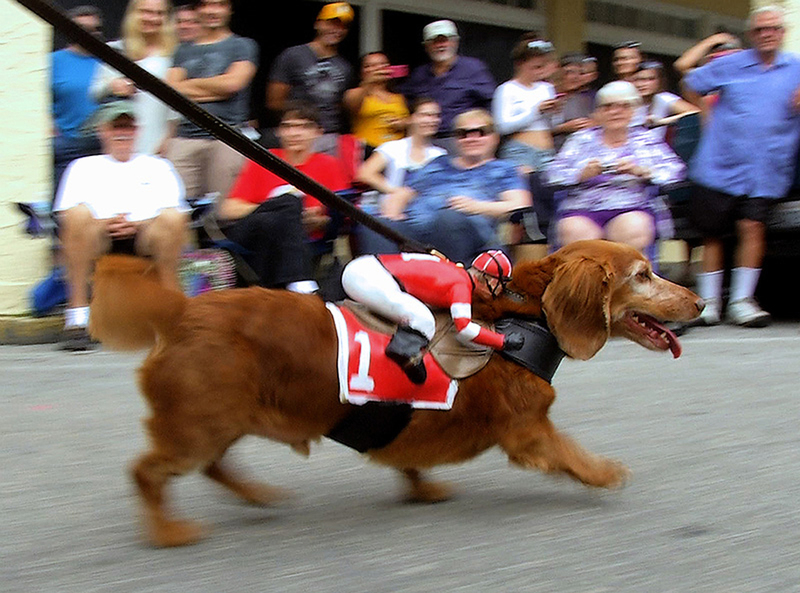 Bring four-legged friends. Bring your dogs, wear a t-shirt with a picture of your kitty with pride, or walk with a paddle displaying your pet’s photo! 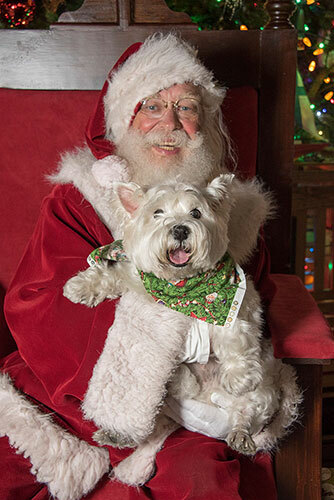 Holiday Bazaar inside the dog park features entertainment, food vendors, photos with Santa, gifts for that special person on your list and more! 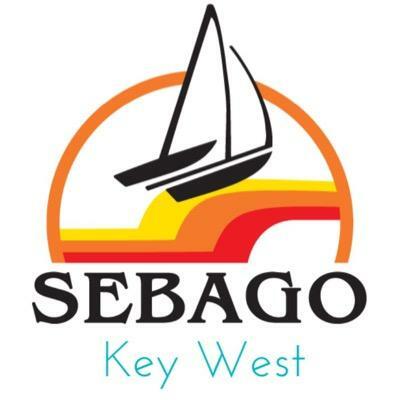 A unique opportunity to support the lifesaving mission caring for the Keys’ community’s homeless animals, the event supports the Florida Keys SPCA. 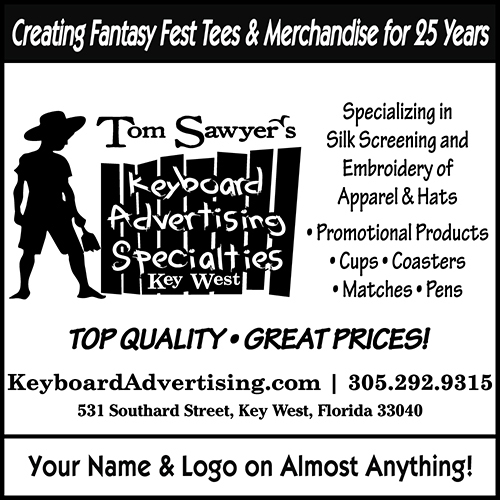 Call 305-294-4857. 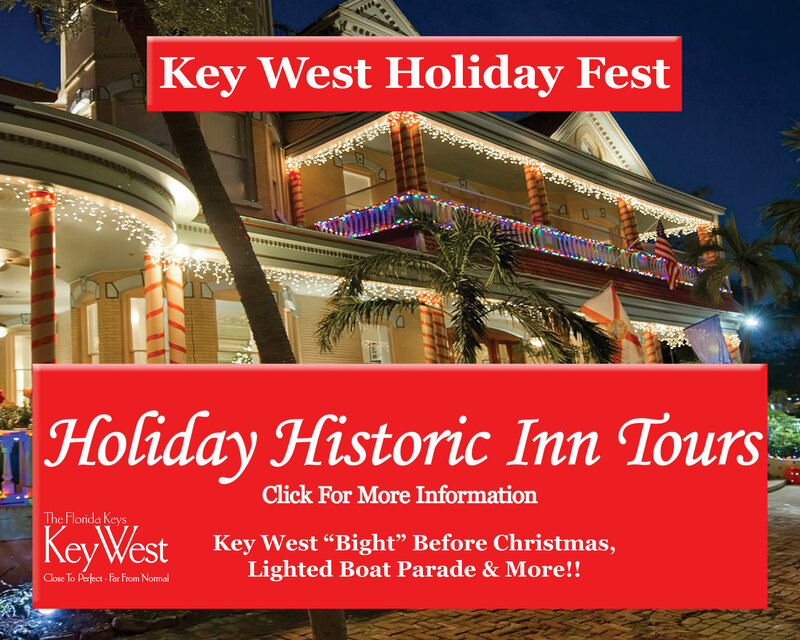 The Key West Art & Historical Society hosts the third annual event, 5-9 p.m., at the historic Custom House Museum, 281 Front St. 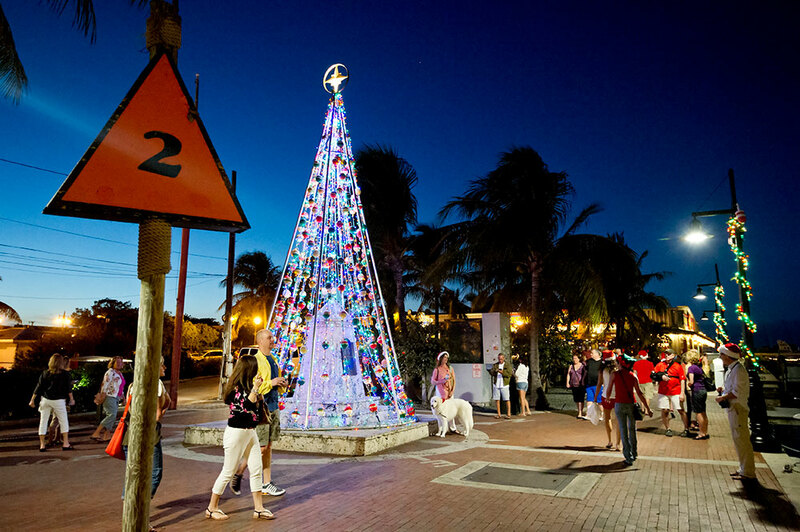 Highlights are to include performances by musicians and choirs, local artisans showcasing their wares, a light show and “selfies” with Santa. Open and FREE to the public. 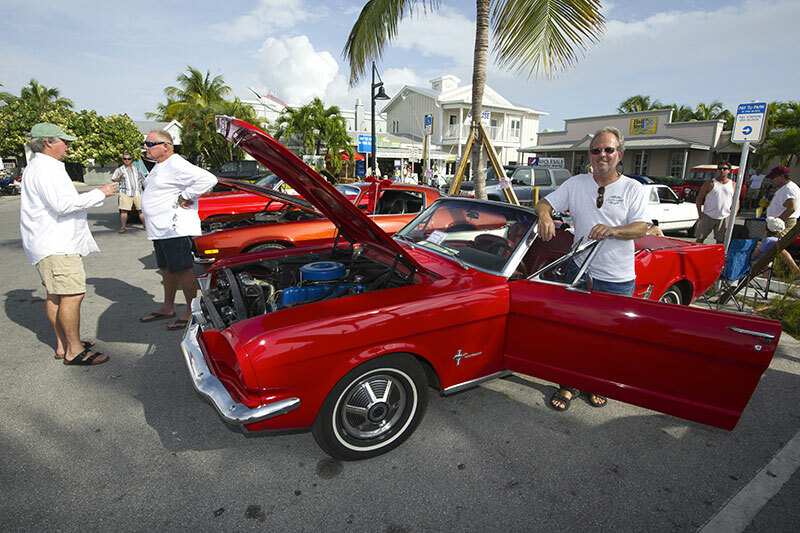 Call 305-295-6616. 5:30 to 8:00 pm. FREE. 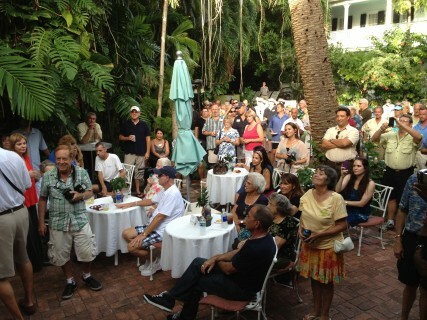 Festive outdoor jazz performance at the Gardens Hotel. Cash bar & large wine selection. 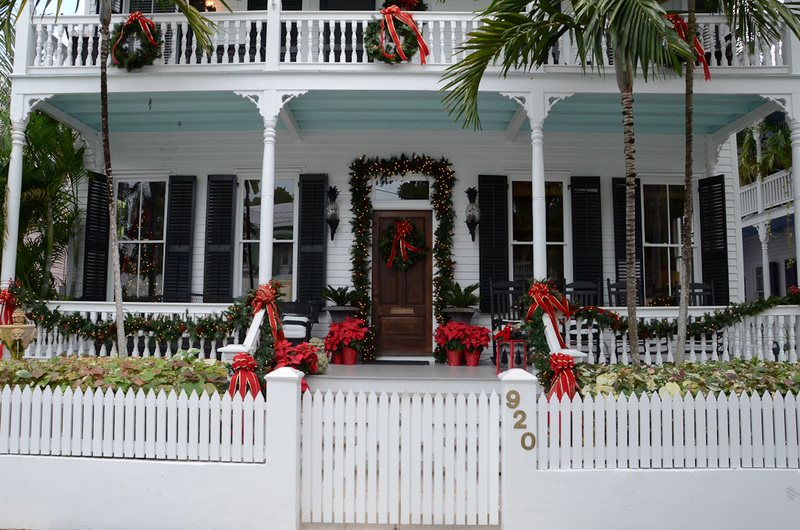 Presented by the Old Island Restoration Foundation, the annual self-guided tours from 3-7 p.m. each day showcase festively dressed Key West homes and gardens. Tickets are $30 in advance, $35 day-of-tour. 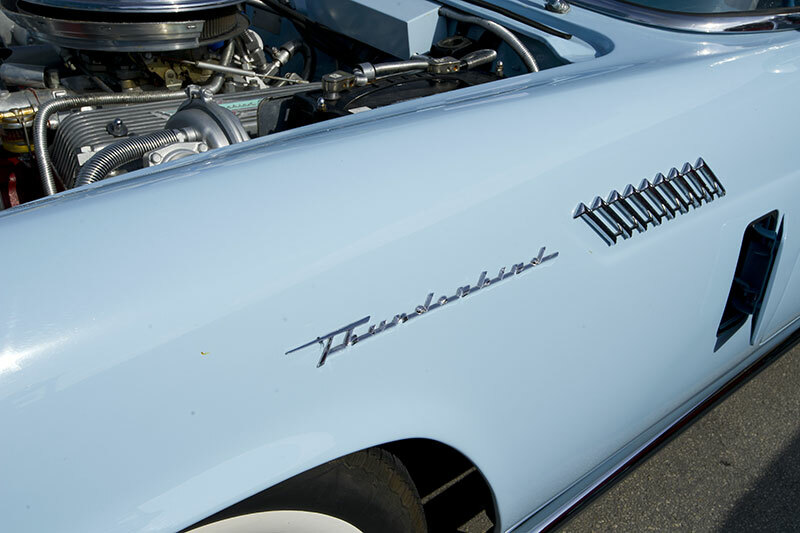 Proceeds benefit the foundation’s museum and programs. 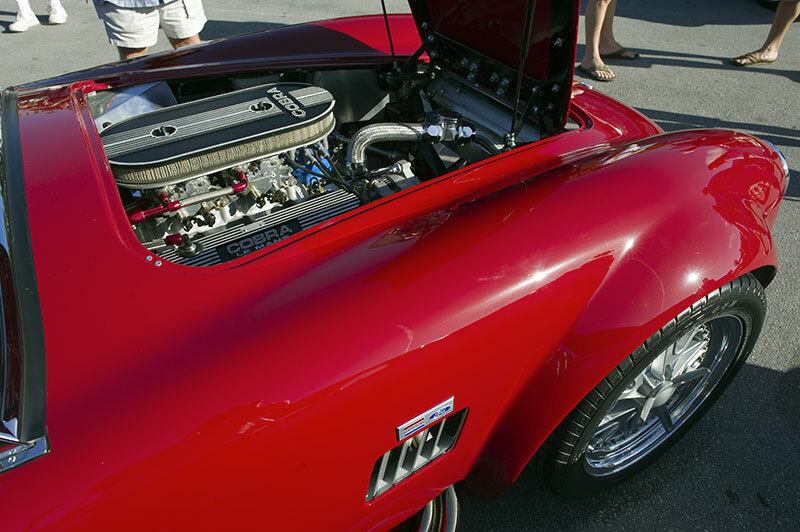 Call 305-294-9501. Park in the Main Parking Lot located at Margaret & Caroline ST. OR the Parking Garage one block away at Caroline & Grinnell St. OR in the lot at Green & Elizabeth St. 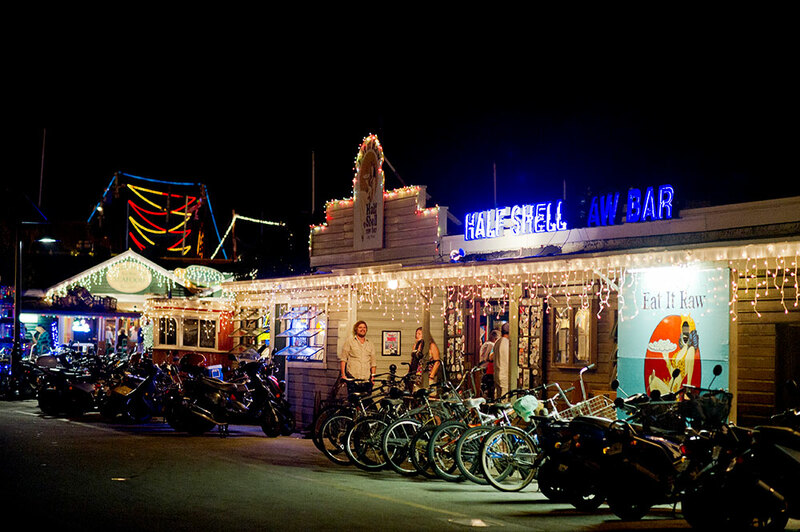 Please use FREE scooter parking areas and designated bike racks all around the Historic Seaport and Harbor Walk Area. Please no locking bikes to the decorations! 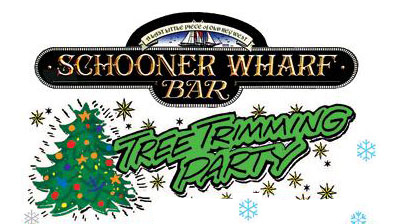 to add a holiday event. 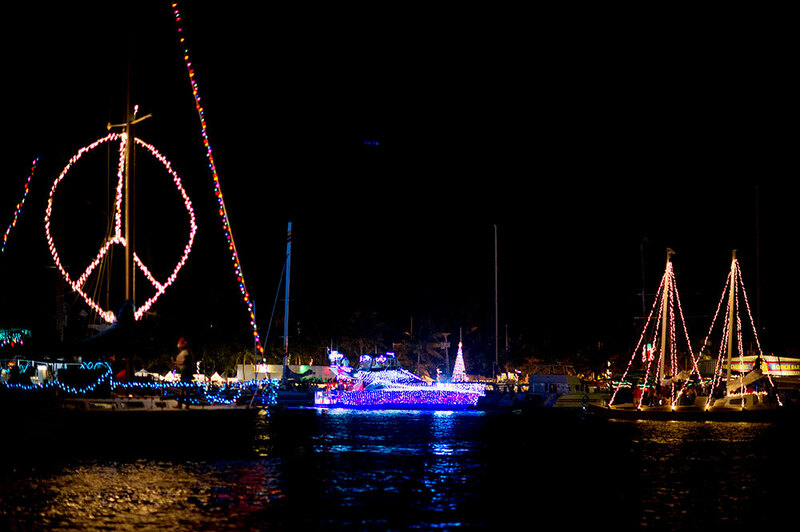 Copyright 2019 © Key West Bight Before Christmas Key West Harbor Walk of Lights, Pet Pictures with Santa, Holiday Classic Car Show ™. All rights reserved.